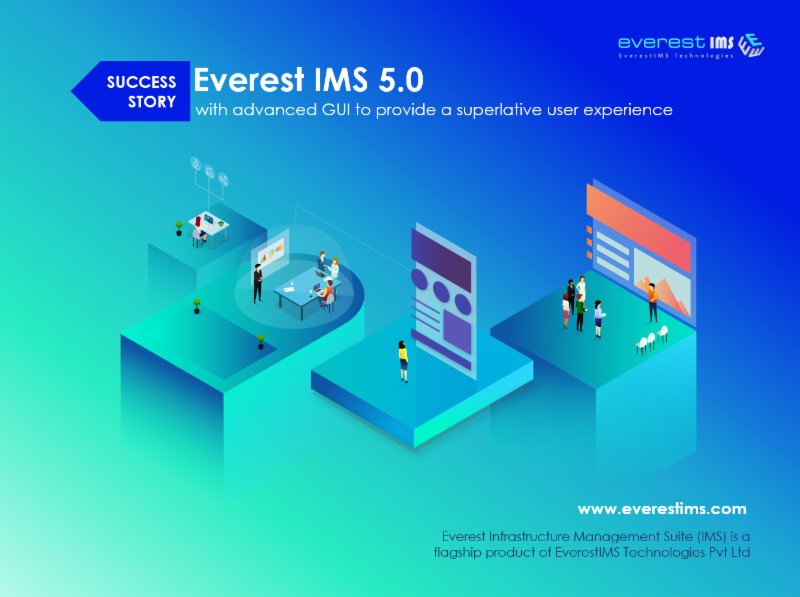 EverestIMS Technologies Pvt Ltd (Everest), an Indian software product company specialized in providing software solutions for IT Infrastructure, ITSM and IoT space, earlier this quarter launched an upgraded version of its flagship product, Everest IMS with new and enhanced global features to 'map-manage-monitor' IT infrastructure intelligently through a unified platform. This launch from Everest has garnered positive response from the Indian I&O market space. With technology-rich advanced features and responsive GUI, version 5.0 has successfully cracked into new business verticals like: Real Estate, Hospitality, ITES, Large PSUs and Managed Services. Existing customer base has been retained by providing attractive offers on licence renewals and new accounts from different industry giants have been successfully added. Also, this version launch served as a transit medium in converting competitor accounts to Everest's customer database. Satish Kumar V, CEO at Everest said, "The launch of Everest IMS 5.0 is another milestone of success for us. Everest IMS witnessed commendable response from various business verticals. The product has been very well accepted in the market in a short span of time. Infact, it helped us in reaching the untapped markets and businesses. This is because customers are seeing value that they can drive from the new features that Everest IMS 5.0 comes with. He further added, "We have been getting positive feedbacks from our clients. Being an Indian independent entity, it is an encouragement for us to develop innovative products & solutions. Everest aims to be part of each of its customer's success story journey, hence believe in empowering organizations with high performance solutions."